The need for safeguards against commercial exploitation of Human Milk collection is explained in This new article by IBFAN’s Central Coordinator for Asia. Breast-milk collected from donors on a large scale need to be checked for adulteration and contamination. Published Jun 21, 2017 · 02:30 pm Updated Jun 21, 2017 · 04:51 pm. Union Health Secretary CK Mishra inaugurated a human milk bank at Lady Hardinge Medical College earlier this month. The Ministry of Health Family Welfare has been planning a network of human milk banks for 661 newborn care units across the country to feed newborn babies who cannot be nursed by their mothers. This is a welcome step that can discourage the use of infant formula, which is not as nutritious as human breast-milk. But regulation of human milk banks to ensure safety and quality of milk need to be discussed before the government goes further with the much needed programme. Human milk used in neonatal intensive care units helps reduce necrotising enterocolitis or NEC in which portions of the bowel undergo tissue death. Use of breast-milk also helps cut down severe infections and colonisation by bacteria in newborns. Human milk banks work by collecting, screening and distributing human milk donated by women. 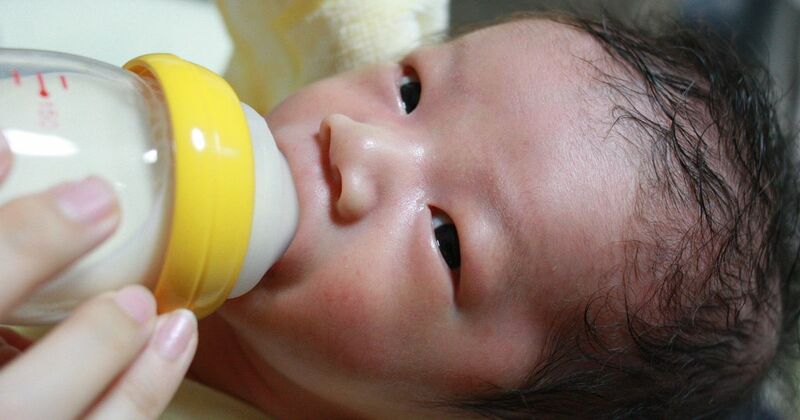 Human milk banking is growing in many countries. According to the World Health Organisation, receiving milk from a human milk bank should be the first alternative for a baby whose mother is not able to breastfeed. Human milk banking started informally almost a hundred years ago, however the first human milk bank was set up in the United States in mid 1980s. India’s first human milk bank was set up in Mumbai in 1989. Human milk banking has taken off in a big way in Brazil, which has more than 200 such centres. In 2011, Brazil’s milk collection was 1,65,000 litre from 1,66,000 mothers and provided service to 1,70,000 babies. Supported by Brazil, the human milk bank network is growing in Latin and South America. North America, Europe, South Africa, and Australia have also made significant progress. India is just beginning. Dr Ajay Khera, deputy commissioner for child health, has said that human milk banks will be called as lactation management centres and that human milk banking will be a part of an overall breastfeeding strategy. This is important since donated milk could be harmful for the recipient if adulterated or contaminated. Human milk may be contaminated with bacteria or even viruses like HIV. In the US, human milk is now being sold online but the Food and Drug Administration is urging women not to feed their babies with the milk that has not been screened at a milk bank. Moreover, when human milk becomes a tradable commodity, there are also risks of adulteration with cow’s milk to enhance profit. Researchers in United States found that 10% of its human milk samples were adulterated with cow’s milk. In Bengaluru, there was a huge outcry when a private company wanted to set up a commercial human milk bank with doctors and public health advocates calling the proposal “exploitation of poor mothers”. These risks warrant safeguards. The government should lead the process for developing and regulating operations of human milk banking to ensure safety. Human milk banking guidelines should be vetted by a technical committee comprising of scientists, medical, technical and legal experts. The committee should be free of conflicts of interest. The guidelines should be endorsed by professional associations. The Indian Academy of Pediatrics’ has also developed guidelines on human milk banking which calls for ethical standards and need to establish milk banks in large neonatal intensive care units. Collection, storage and supply of human milk should be accomplished in a given time frame without adulteration and should be strictly monitored and documented. Human milk should not be shared casually. Guidelines should indicate who can donate and who can receive human milk. A certificate of health should be obtained from healthcare providers of the donor and recipient. Well-trained staff should be appointed at a human milk bank, who can screen milk and monitor supply with utmost honesty. They should also be equipped with social skills to interact with donors and recipients. Donors should be tested for HIV 1 and 2, Human T-cell lymphotropic virus or HTLV 1 and 2, syphilis, and hepatitis B and C.
Donors should sign up voluntarily and their consent should be obtained. Operations for storage,pasteurisation, checking contamination, and monitoring the milk donations must be clearly defined. Human milk needs to be stored at -20°C. It is then thawed and a bacterial culture is taken from it. The milk is pasteurised and re-cultured before it is dispensed. Milk should be monitored during storage to check for bacterial growth. All this information should be shared with health workers and with donor and recipient families for their consent. There should be national level oversight to coordinate the whole process of human milk banking, as well as regulatory mechanisms. The guidelines should also lay down clearly the order in which infants may receive milk from human milk banks to ensure that newborns who are critically ill or preterm babies are on top of the list. Here too, the critically ill and preterm babies should be allotted on a first-come-first-serve basis to avoid misuse. Human milk bank should not be a profit-making industry. Commercial milk banking is open to potential risks since companies can make profits from adulterating donor milk. Baby food companies should not be allowed to set up or operate human milk banks or even being part of decision making since they have clear conflicts of interests. An example is the International Breast-milk Bank project, which works as a non-governmental organisation. According to a report, 75% of the milk donations it receives goes to Prolacta Bioscience that makes and sells “human milk fortifiers”. This means they compete to provide human milk to premature or very sick babies who are unable to get their mothers’ milk. 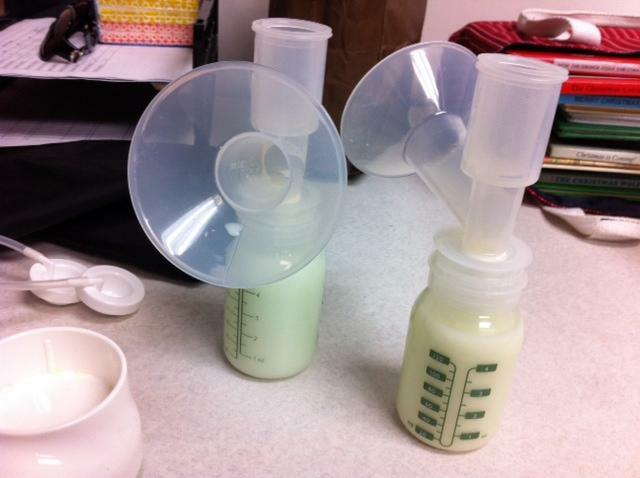 Human milk banks should also avoid ties with breast-milk pump companies as this could create conflicts of interest. Human milk banks should be operated like blood banks or any other human tissue bank. Donors should be told about the nature of the transaction they are involved in. New mothers should be given every encouragement and support for lactation and breastfeeding. Human milk banks should be an option for women who cannot breastfeed even after they have received such support and counseling. If more women receive good lactation support it will also lead to more human milk donations as lactating mothers can donate any extra milk instead of throwing it away. Brazil’s human milk banking within a breastfeeding strategy has helped reducethe country’s infant mortality by 73% since 1990. India has good examples of human milk banking at Sion Hospital in Mumbai that was set up in 1989 and the Rajasthan state government’s initiative to provide milk from Tonk’s district hospital to neonates deprived of mother’s milk. But, in scaling up human milk banking across India, the government needs to ensure the right safeguards are in place. The writer is a paediatrician and founder of the Breastfeeding Promotion Network of India.